Satoshi Games Review - Is this Softswiss Casino a Scam Site to Avoid? NOTE: Satoshigames is now closed, so please try our top recommended casino for the best Bitcoin bonuses. Let’s face it, bitcoin betting does sound like a strange proposition if you’ve never done it before. The idea of joining a site and placing bets with a virtual currency that isn’t overseen by a government and has no physical form can be a daunting prospect for newbies. With this being the case, Satoshigames.io was set-up with two goals in mind. The first was to offer bitcoin-only betting for casino and poker players. The second was to make bitcoin betting as accessible, simple and understandable as possible. A common mistake that most online bitcoin casinos make is that they assume everyone is familiar with the mechanics of bitcoin. In reality, bitcoin casinos are still a relatively new concept for most players and Satoshigames knows this. Indeed, today when you join this site, you’ll not only have the protection of provably fair software and full regulation by Antillephone N.V., you’ll be able to learn as you play. From articles discussing bitcoin to regular blog posts outlining the latest onsite innovations, betting tips and news, Satoshigames has done everything it can to welcome newbies with open arms. In short, if you’re just starting out on your bitcoin betting journey, make sure you stick with us for the next few minutes as we guide you towards Satoshigames.io’s finest features. One of the most impressive features of Satoshigames is the way it caters to bitcoin novices. As we’ve already said, most online casino players aren’t necessarily familiar with the nuances of bitcoin and, moreover, the way you can use to place bets online. Satoshigames has managed to cover this with a “What is Bitcoin” section. Accessible from the homepage, this knowledge hub starts off by giving you a general overview of the cryptocurrency before breaking down things such as bitcoin wallets and, exchanges. 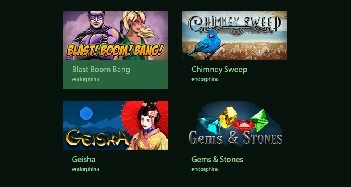 To complement this knowledge hub, Satoshigames has a dedicated gaming blog. Again, this is accessible via the homepage and provides a range of articles on all things bitcoin from game overviews to strategy advice. While some would argue that these provisions aren’t strictly necessary, we beg to differ. In an emerging industry where players need to feel confident about what they’re doing, these sorts of features are almost imperative and, for that reason, Satoshigames.io gets a solid rating from us. Of course, information like this is practically useless without a selection of games and, more importantly, an interface that allows you to access said games in the quickest way possible. As you’d expect, the developers at Satoshigames haven’t tried to overcomplicate things when it comes to the layout of the site. A toolbar at the top of the page allows you to move between game categories, while a sub toolbar gives you the option to filter by the site’s three software providers: Betsoft Gaming, Endorphina and Softswiss. Below the search options, familiar looking game boxes fill the page and as you scroll down more boxes appear. This layout is now extremely common and another feature that should make it easier for novices to transition from regular online casinos to the bitcoin betting world. The final thing to note about the Satoshigames interface is the customisation options. When you click on a game, it first loads in mini-mode (i.e. it doesn’t take up the whole page) and underneath the boxout you’ll see tabs that will show you the newest games, the top rated games and the games you last played. On top of this, you can hit the heart icon in the bottom right of each game box and save it to you account for instant access at a later date. 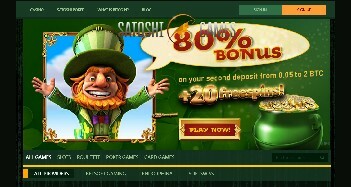 Satoshigames’ status as a gateway into the bitcoin casino world is confirmed by its bonus system. Unlike many of its peers, the site doesn’t offer much in the way of ongoing deals and promotions. Now, for seasoned grinders, this might be a bit of a turnoff, but for newbies it probably won’t matter too much. Indeed, if you’re simply looking for an easy way in and something extra for your time online, the three-step bonus should leave you something to smile about. 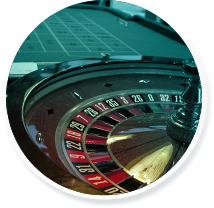 Like all online casino bonuses, the amount you can wager when you have an active bonus is limited. This is to ensure that players can’t abuse the system and everyone gets a fair shake at earning something a little extra. Under the terms and conditions set out by Satoshigames, you’ll only be able to wager 0.025 BTC or less until you’ve met the 50X playthrough requirements. Assuming you play within the rules, you can withdraw any bonuses unrestricted and return to betting without any limits. Slots: Five-Reel, Three-Reel and Progressive Jackpot. Roulette: French, European and American. Card Games: Pontoon, Blackjack, Hi-Lo and baccarat. Casual Games: Minesweeper, Heads or Tails. Without wanting to sound like a broken record, Satoshigames has ensured that new players are given the best experience by offering practice tables. 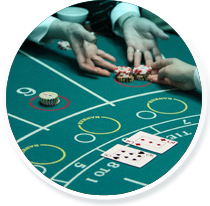 Essentially free-play games, these tables allow you to test your skills on fully functioning tables before switching to play for real cash. Now, when we said Satoshigames.io had an ace up its sleeve, what we meant is that it offers something that very few bitcoin betting sites offer: poker. No, in this instance we don’t mean casino poker. What we mean is that you can play Texas Hold’em against other players using bitcoin. This option isn’t something you’ll typically find online, but it’s something Satoshigames allows you to do via your browser or Android and iOS apps. Regardless of whether you want to play for free or using mBTC, Satoshigames Poker offers sit & go tournaments across the following variants: Hold’em, Omaha, Omaha High/Low, Stud and Stud High/Low. Having the ability to play something other than casino games without having to create a new account or make fresh deposits is something that gives Satoshigames the edge on its iGaming peers. As we’ve already noted, Satoshigames is licensed and regulated by Antillephone N.V. On top of this, the site has had its random number generator (RNG) certified as fair and if you don’t believe the experts then you can check for yourself. Using a clever piece of in-game software, you can conduct a “provability test” as you play. Clicking on the rosette icon in the top right of the screen, you’ll be able to see the last bet and adjust the client seed before hitting the “verify” button. Doing this will essentially check whether the last result was random and unaffected by any glitches, errors or unfair software. As well as offering minimum deposit/withdrawal limits of 0.01 BTC and a maximum cashout of 20 BTC, Satoshigames allows you to set your own limits. To give you complete control over your actions, you’ll be able to set loss and wagering limits. Moreover, you’ll also have the ability to set a cooling off period and even opt out of bonuses (so you don’t have to follow bonus betting restrictions) if you wish. Peace of mind comes from a combination of protection and control and, at Satoshigames, you’ll find both of these qualities in spades. Satoshigames.io is a great place for newbies, there’s no two ways about it. If you’ve never heard of bitcoin or you simply want a new way to play casino games, this platform is the perfect place to join the bitcoin betting arena. Through a clever combination of information, options and customisable features, this online bitcoin casino has made it easy for novice players to get into the game. 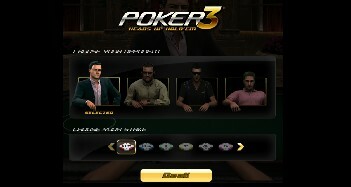 Wait, if that wasn’t enough, Satoshigames will also give you access to a unique poker platform. Unlike its peers, Satoshigames.io not only allows you to flirt with lady luck on the casino floor, but test your poker face against your peers in a series of card-based showdowns. Overall, if you’re looking for a bitcoin casino that’s accessible, safe and crammed with interesting options, Satoshigames is the place to play.